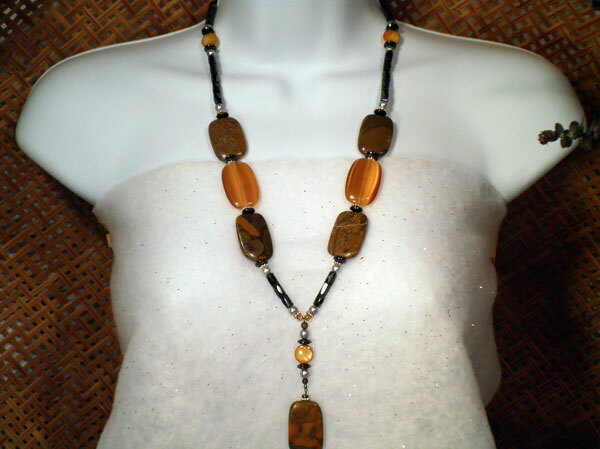 Beautiful stone beads in gold, brown and grey tones were the inspiration for this necklace which measures 23 1/2". The pendant adds over 3 more inches. I've paired the stones with fabulous butterscotch beads, hemalyke rectangles and spacers, grey rounds and silver spacers. I love how this came out and I hope you do as well. It is no light weight, and so, hangs beautifully!